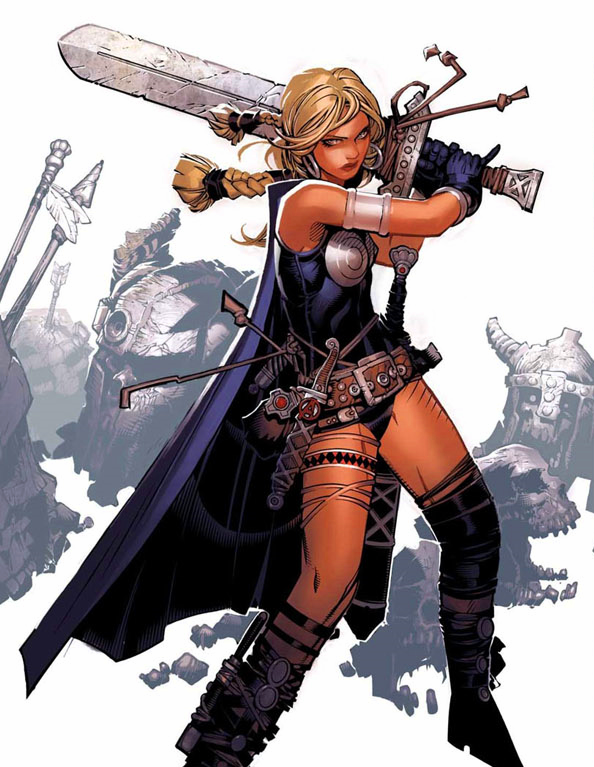 She's Fantastic: Marvel Universe VALKYRIE! 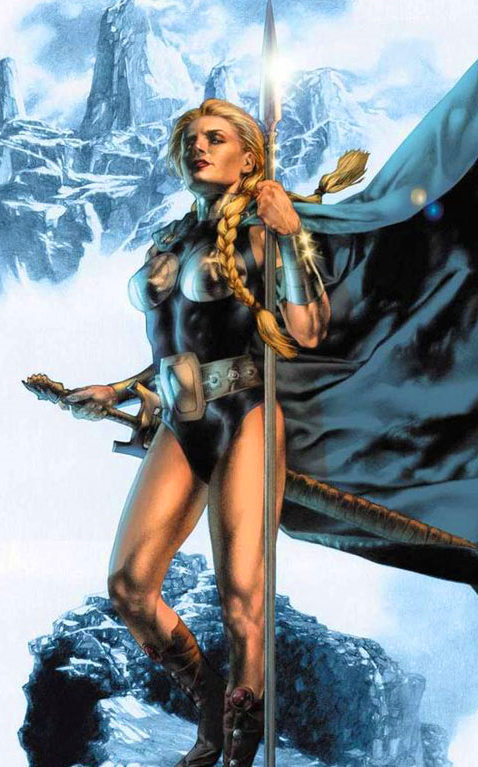 Valkyrie first appeared in 1970 in the pages of the Avengers and has been a regular character in the Marvel Universe ever since. 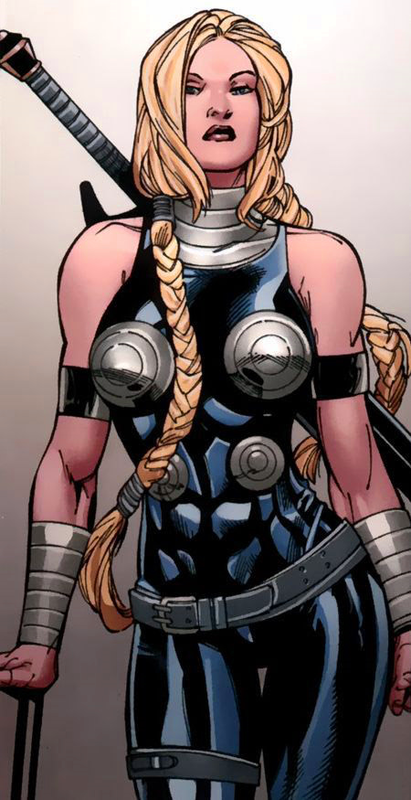 She is true Norse Valkyrie who has taken possession of various mortal women over the years. Her first possession was of Samantha Pennington and this iteration served as an adversary of the Hulk. Her second incarnation had her in the body of Barbara Norriss. This version joined the superhero team The Defenders (alongside Namor, Dr. Strange, and the Hulk). 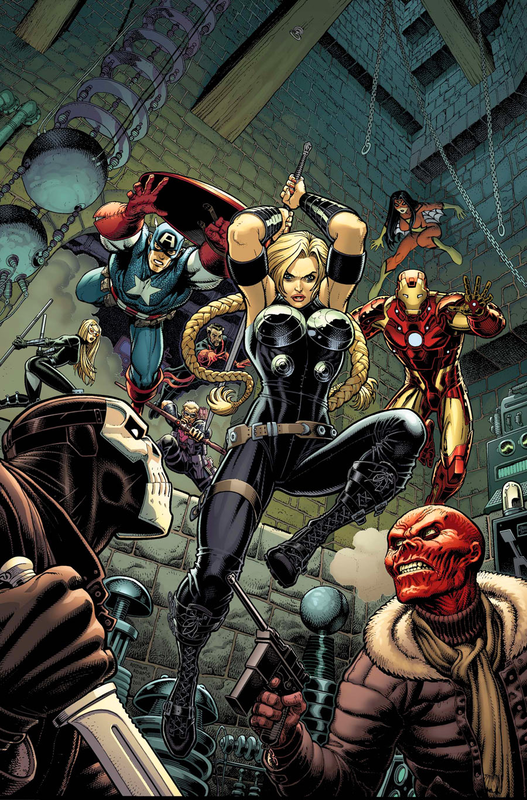 This team affiliation lasted for the remaining 13 years of the series run and really cemented her role in the Marvel Universe. She's still a major character and regularly appears in the current Defenders series as well as any and all major crossover events (Fear Itself, Original Sin, etc). I personally love mythological characters so I'm a little biased with my love for this figure. Now I'd love to see a 3.75 comic-style Sif in this line to add to my little Norse mini-collection (with Enchantress from the Secret Wars 2-Packs). Valkyrie comes with a single accessord of her magical sword, Dragonfang. She has the typical articulation we've come to expect from this line. Now for a little She-Ra action (since She-Ra is an honorary Valkyrie anyway). Here are some images of Valkyrie from the comics. Here is Valkyrie with her Mini-Mates and Marvel Legends figures. Does your figure has some strange knees popping out at the sides? Mine has, and is in the card picture too, but I find it quite strange, like shes deformed. Otherwise shes great! Yeah I think she's suffering from what you're describing. It's a little weird considering that they very recently "perfected" (imo) the female buck with Jubilee, Dazzler, and Aurora. Red She-Hulk had the same weird knees. I was looking at her in the store the other day and Im not real fond of her hair and face sculpt. I love the Marvel Legends Valkyrie though she is well out of my price range. Sculped hair on such a small scale figure is always tricky. When they try to make hair look dynamic and wispy, it ends up looking like thick, limp spaghetti. Even so, I enjoy this figure. I like the Marvel Legends, too. Althoguh she has a vacant stare that makes her look a lot less formidable than she should be.